Please Register for the Project id Interested! A slight fee up to a maximum of $25.00 per person will cover the split expenses for food we provide aboard the RV Preservation. Cost is dependent on number of meals eaten supplied buy GLSPS. Sunday is scheduled for GLSPS only. Members are welcome to dive Sunday only if they prefer, with only a small charge for food. ($12.00). We will pick you up at the Two Harbors boat launch dock about 9 am. Saturday August 19, wreck dive Samuel P. Ely - aboard GLSPS research vessel in Two Harbors. 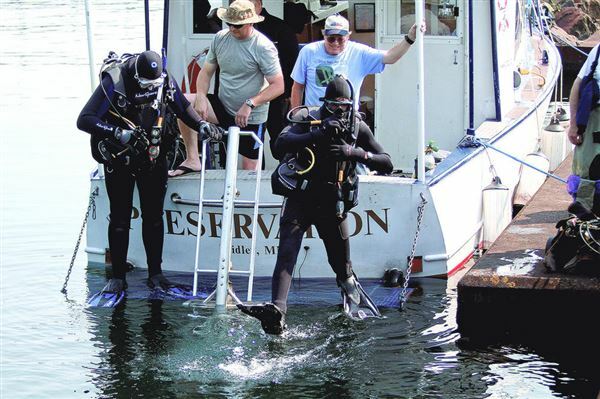 As soon as the RV Preservation pulled up to the boat dock in Two Harbors on 19 August, Captain Tim Pranke urged the BSA Venture Scouts Scuba Crew 820 to hurry in loading their dive equipment. An iron ore ship was about to depart and its large propellers would stir up the ore dust off the bottom of Agate Bay, greatly reducing water clarity near the wreck the crew was about to dive, the S.P. Ely. The RV Preservation was crowded with 3 Great Lakes Shipwreck Preservation Society (GLSPS) and the 11 Venture Scout divers with all their equipment and 24 air tanks, but it was a short trip to the dive site just across the bay. 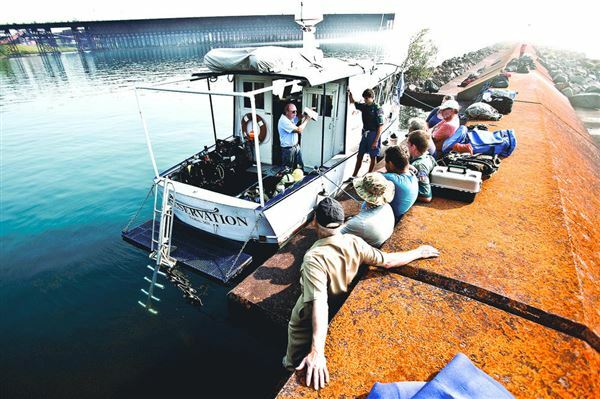 This was the fifth trip the Venture Crew partnered with the GLSPS to dive the Samuel P. Ely in Two Harbors. 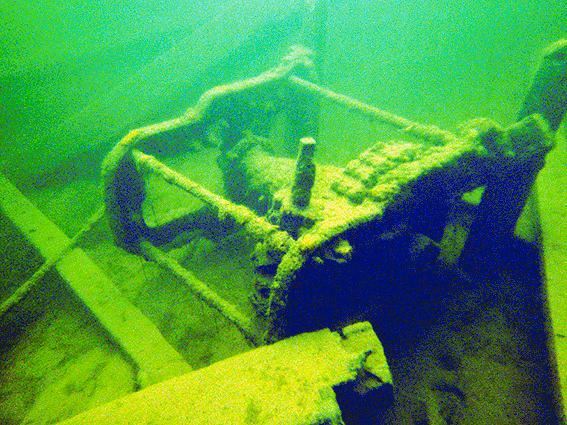 The goal of this joint adventure is to set up a legacy for future generations to preserve Lake Superior’s shipwrecks; diving on shipwrecks allows the scouts to touch a ship more than a century old and connect with history. It makes history real. Please Note: You can only see the Newsletter if you are a Current GLSPS Member! If you want to view this or any other current newsletters, we invite you to join the GLSPS as a member clicking on the side menu "Join as a Member"